Visit website to learn more AEP SWEPCO offers a instant rebate on the purchase and installation of select Light Bulbs. Offer valid 04/01/2014 through no current end date. Other restrictions may apply; please visit the website for additional details. Visit website to learn more Alameda Municipal Power offers a online rebate on the purchase and installation of Light Bulbs. Offer valid 01/01/2016 through no current end date. Other restrictions may apply; please visit the website for additional details. Visit website to learn more Alameda Municipal Power offers a online rebate on the purchase and installation of Light Fixtures. Offer valid 01/01/2016 through no current end date. Other restrictions may apply; please visit the website for additional details. Visit website to learn more Appalachian Power offers a instant rebate on the purchase and installation of Light Bulbs. Offer valid 05/01/2014 through 12/31/2019. Other restrictions may apply; please visit the website for additional details. Visit website to learn more Austin Utilities offers a mail-in rebate on the purchase and installation of Light Bulbs. Offer valid 01/01/2017 through no current end date. Other restrictions may apply; please visit the website for additional details. Visit website to learn more Austin Utilities offers a mail-in rebate on the purchase and installation of Light Fixtures. Offer valid 01/01/2017 through no current end date. Other restrictions may apply; please visit the website for additional details. 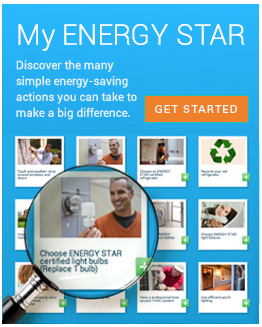 Visit website to learn more Avista Utilities offers a mail-in rebate on the purchase and installation of Light Bulbs. Offer valid 01/01/2018 through 12/31/2019. Other restrictions may apply; please visit the website for additional details. Visit website to learn more Avista Utilities offers a buy-down/discount on the purchase and installation of Light Bulbs. Offer valid 01/01/2018 through 12/31/2019. Other restrictions may apply; please visit the website for additional details. Visit website to learn more Bagley Public Utilities offers a mail-in rebate on the purchase and installation of select Light Bulbs. Offer valid 01/01/2010 through 12/31/2019. Other restrictions may apply; please visit the website for additional details. Visit website to learn more Bagley Public Utilities offers a mail-in rebate on the purchase and installation of select Light Fixtures. Offer valid 01/01/2010 through 12/31/2019. Other restrictions may apply; please visit the website for additional details. Visit website to learn more Baltimore Gas and Electric Company (BGE) offers a buy-down/discount on the purchase and installation of Light Bulbs. Offer valid 01/01/2018 through 12/31/2020. Other restrictions may apply; please visit the website for additional details. Visit website to learn more Baltimore Gas and Electric Company (BGE) offers a buy-down/discount on the purchase and installation of Light Fixtures. Offer valid 01/01/2018 through 12/31/2020. Other restrictions may apply; please visit the website for additional details.